This 2-bedroom villa for up to 4 guests is located in Tamariu and has a private swimming pool and. Tamariu: Beautiful, cosy villa La Mar Salada. Residential area (villas), 1.5 km from the beach. Private: beautiful garden to relax, swimming pool angular (11 x 5 m, 01.05.-15.10.) with internal staircase. Pergola, terrace, garden furniture, barbecue, parking at the house. Shop 1.5 km, supermarket 1.4 km, restaurant 1.3 km, sandy beach Playa de Tamariu 1.5 km. Golf course 14 km. 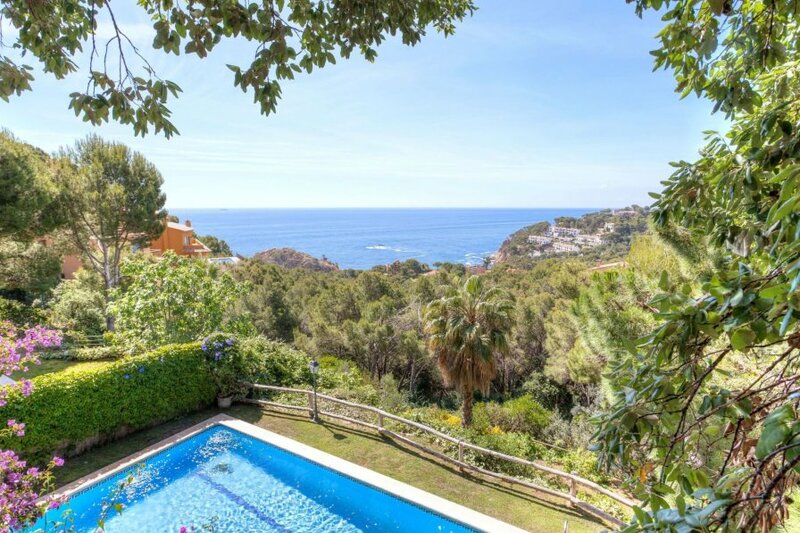 Nearby attractions: Jardi Botanic del Cap Roig 9 km, Far de Sant Sebastia 5 km. Groups of teenagers on request only.